This fort is famous for the evening sunset and the lush green mat look during Monsoon. You will need to climb to reach this fort, so if you have kids, this place may not be advisable. This is one of the most artistic forts in Goa. It is home to Mario Miranda Gallery. He is the famous cartoonist from Goa. Fort Aguada is one of the most famous forts in Goa thanks to the list of Bollywood movies such as Rangeela, Dil Chahta Hai, Golmaal, Dhoom, and Honeymoon Travels being shot here. It is located in the extreme north of Goa and can be reached by ferry from Querim beach. 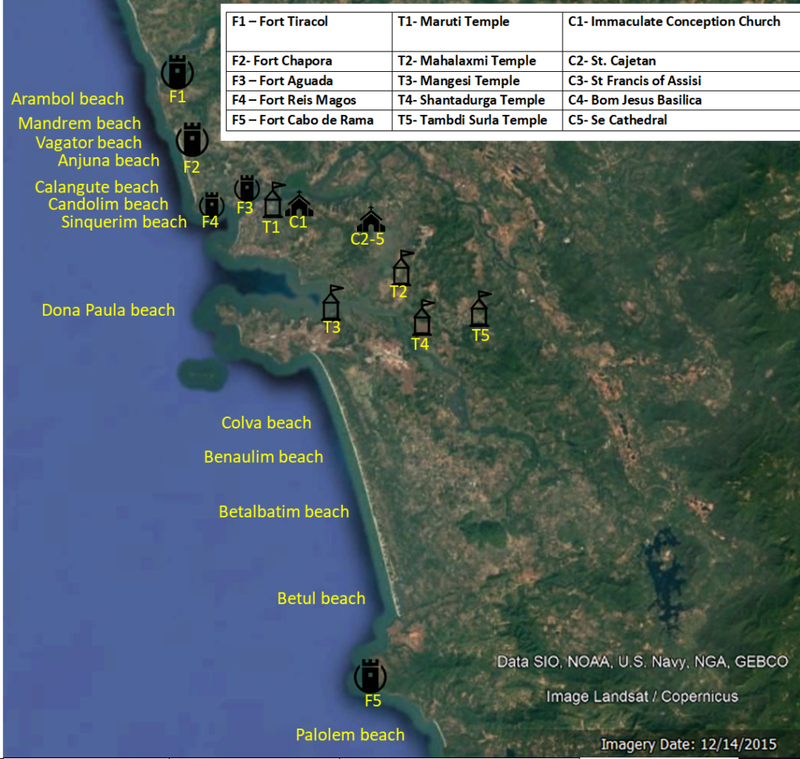 It is located near Palolem beach. Some stories say that Lord Rama has resided here during his 14 years of exile.